Unlike a lot of platforms we apply a strict code of conduct to all of our services to ensure you are given the best range of sports betting advisors available. We believe that we provide the best and most profitable tipsters across a range of sports covering a range of bet types. "Due to large volume of low quality tipsters since 2009, the community have decided to removed all of them. Our team have set new rules and strict policy for tipsters since 2014. 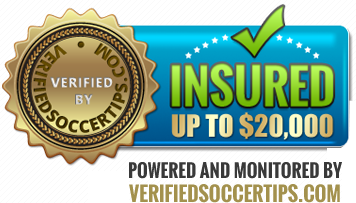 All Tipsters monitored by www.verifiedsoccertips.com to go through a minimum of 3 months "service authentication" before getting approved. Under the surveillance of Team V.S.T, all monitored tipsters required to integrate "V.S.T Records Platform" on their websites. All the service verdict and result published in the "V.S.T Records Platform" are updated according from the Tipster's Panel (Tipster's Login). If found any tipsters not following any rules and regulation provided by V.S.T will be terminated immediately. Any feedback, complaint or suggestion from punters/users will affect the Account Level of Tipsters. Unfortunately those of us who have been on the betting industry as investors, punters, tipsters, gamblers or sports lovers since the beginning of the internet revolution, we've been cheated at least once. Reviews, Honest and Accurate, Trust them, Trust Us. 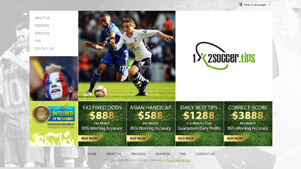 and all latest news regarding soccer betting industry, fill in your email here.